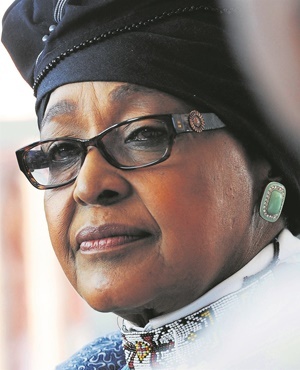 Johannesburg - Struggle veteran Winnie Madikizela-Mandela has died at the age of 81, her family confirmed in a statement on Monday. Madikizela-Mandela was one of the greatest icons of the struggle against apartheid, the statement reads. The family said she had dedicated most of her adult life to the cause of the people and “for this was known far and wide as the Mother Of The Nation”. “She kept the memory of her imprisoned husband Nelson Mandela alive during his years on Robben Island and helped give the Struggle for justice in South Africa one its most recognisable faces. “The Mandela family are deeply grateful for the gift of her life and even as our hearts break at her passing, we urge all those who loved her to celebrate this most remarkable woman,” the statement reads.